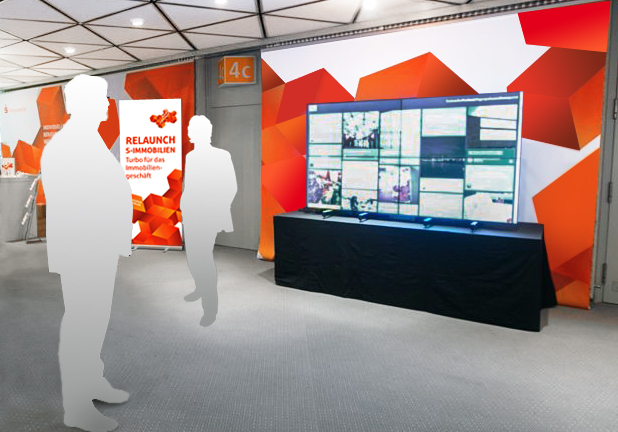 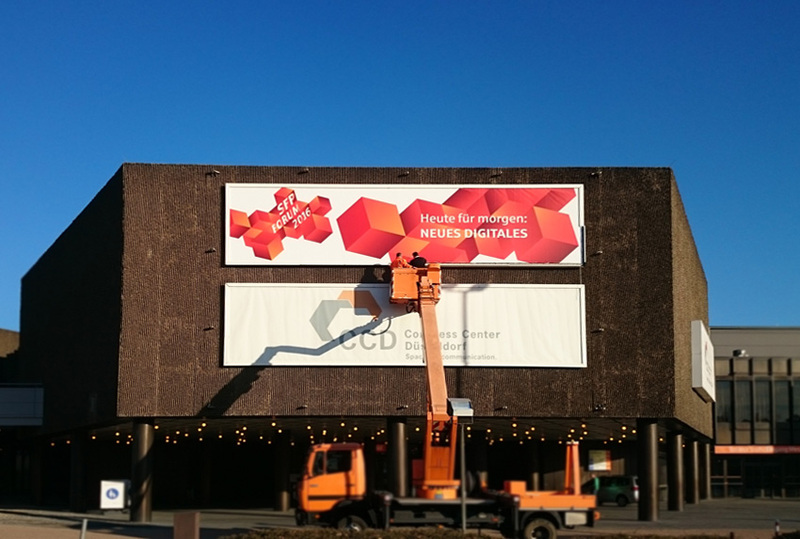 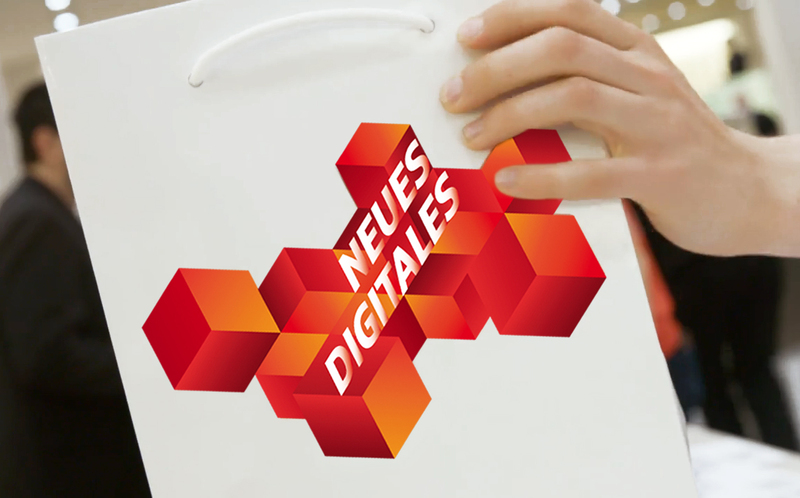 On April 12th and 13th the annual meeting of the digital experts of the Sparkassen financial group took place again in the Congress Center in Düsseldorf. 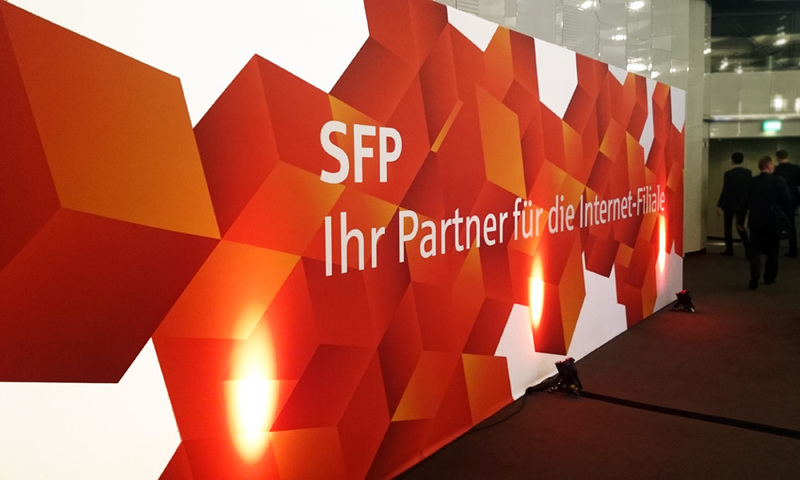 The Sparkassen Finanzportal Forum invited digital professionals of more than 400 Sparkassen in Germany and cooperation partners to find out about trends and innovations from the digital financial world, exchange news and network. 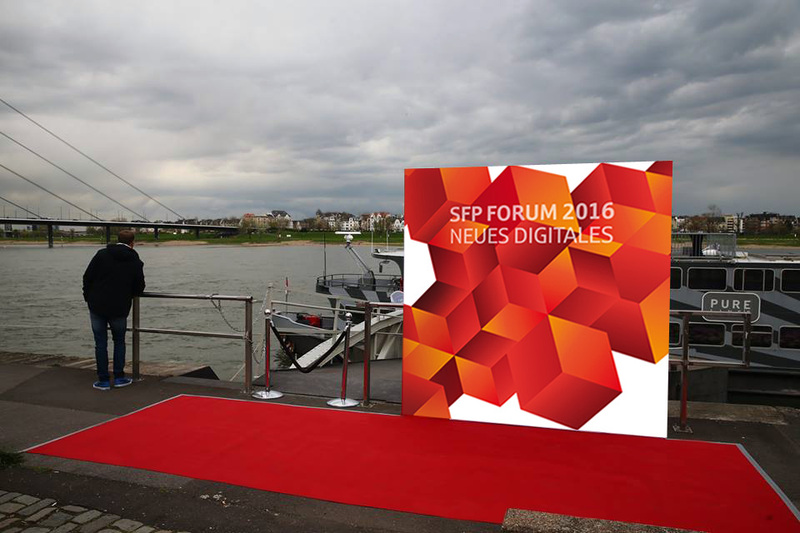 With an inspiring key note speaker such as Dietmar Dahmen, in-depth workshops, lounges and an information marketplace, the Forum was sure to be another successfull beacon event for the team of the Sparkassen-Finanzportal. 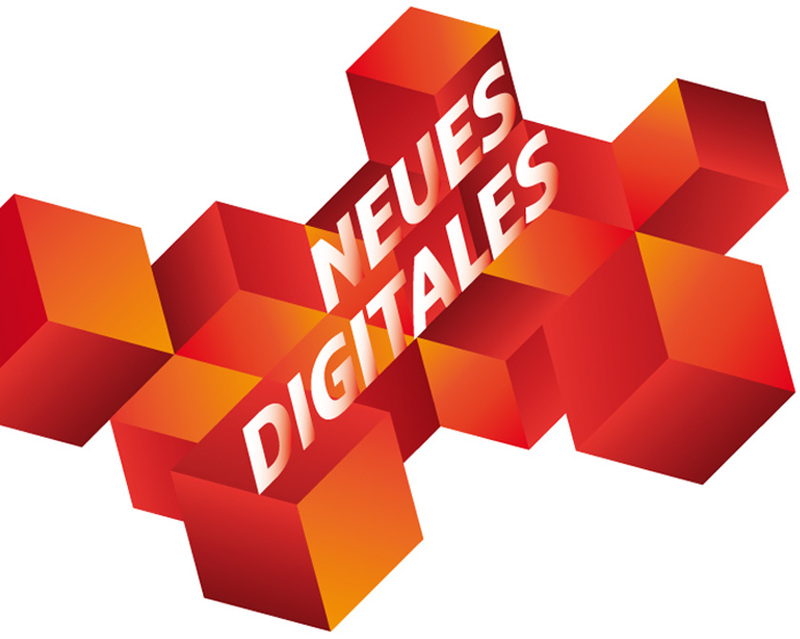 mani design consulting developed the new motto ”NEUES DIGITALES (The New Digital)“ with an inspiring key visual, all event collateral such as invitations, event-App icon design, roll-ups for workshops and stands, maps and bags, walls and mega-banners for inside and outside the established location on the waterfront of the river Rhine, as well as for the pre-event location on the unique floating event venue Pure-liner.